If you’re in London or thereabouts on 24/25 July, L'Artisan Parfumeur are organising a very special event for perfume lovers in the lovely Covent Garden Market boutique : you'll have the opportunity to meet Bertrand Duchaufour (and me) for a series of talks on Séville à l'aube. I’ve been looking forward to this even more than to the launch of my book, since I’ve always found it much more miraculous to have inspired a fragrance (writing, I’ve been doing all my life). And somehow, now that I’ll be able to share Séville à l’aube with all perfume lovers, the sense of accomplishment is that much greater! I’d love to meet as many of you as possible during those hectic two days, so be sure to sign up! You might already have received an invitation but if not, here are the schedule and contact details. And just so those of you who aren’t in London don’t feel too frustrated, I’m doing another draw of the preview samples produced by HarperCollins for the press when my book came out. 10 samples of Séville à l’aube will be drawn between those of you who’ve bought The Perfume Lover at any time since the launch of the book last March. Any sort of proof of purchase will do, and if the draw inspires you to buy it now, you can click here to order). That way, you can read in Odorama, and get to experience Séville à l’aube weeks before it hits your local L’Artisan Parfumeur retailer. If you'd rather wait for the U.S. edition, it'll be coming out on March 19th 2013. I am not quite sure if this draw is only for those who have just purchased the book or also for those of us who have had it now for some time, but if the latter, I would like to enter the draw. I am so so eager to smell this!! When will it (and you)come to New York? Dear Ariane, sorry that wasn't clear, I've amended the post! Yes, the draw is open to anyone who's purchased the book at any time. The book will be coming out in the US in March 2013, but it's a bit too early still to know about my own travel plans. votre rêve devient réalité grâce à votre tenacité et audace, c'est très beau, bravo! Pas de lancement officiel du parfum prévu pour Paris? Hélas, rien de prévu à Paris. Mon livre sortira en France début 2013 et sans doute quelque chose sera-t-il organisé à ce moment-là, mais il est encore un peu tôt pour savoir et cela dépend à la fois de L'Artisan Parfumeur ainsi que des Presses de la Cité! I'd love to be there in London! Many congratulations and good luck for the event. 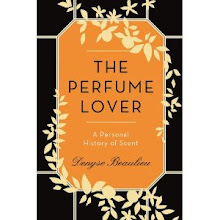 I would also enter the draw, if possible- my own copy of The Perfume lover is signed by nobody else than you in person!! If Catherine de' Medici hadn't come to France in 1553 to marry the future King Henri II, perfume might well have been Italian. I'll announce the winners on Friday. Portia, thanks for the review! I must admit I haven't been following the coverage much, my nerves aren't quite steady enough. You're in, of course. I didn't buy, I won, so I'm not sure if I can be in (and if not, that's okay) - but I mostly just want to say how thrilled I am for you!! 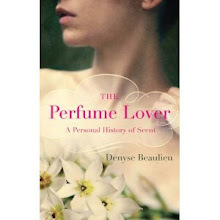 This is an extraordinary achievement, to have inspired and collaborated on a perfume, especially at this level, Denyse. Congratulations to you, Bertrand and all us lucky people who can't wait to experience this perfume!!! Musette, thank you, and winning a draw for the book comes to the same thing (the idea is to focus on people who've read it so that they can experience the scent). You're in! Congratulations, and best wishes for the London event Denyse. I am in Australia and bought the book from the Book Depository in London as soon as it was available in March. I enjoyed your chapter on the difficulties of writing meaningful perfume criticism particularly the quote from Jacques Polge - 'If you smell it, it's there,'. Would love to be in the draw, if possible. Maggie, thanks. That was actually the first thing any perfumer said to me and I suppose it was a good lesson... You're in! I bought the book directly from you at this year's Esxence, I told you that I'm generally suspicious of the effect orange bloom notes have on my skin, but your small sample conerted me. I'd like to try it again before splurging on a full bottle. Hi Bee, I remember! I'm delighted the scent has converted you to orange blossom (it tends to turn soapy on my skin so I understand what you mean). You're in! I can't wait to try this. Although I'm not a fan of Amazon, I made an exception to purchase your book from the UK branch. A great story, and I'm sure it will be a great fragrance to follow. Please add me to your draw! Ann, thanks for making an exception! I favour brick and mortar bookshops whenever I can, but living in France there are a lot of English books that are easier to procure online, so... Anyway, you're in! 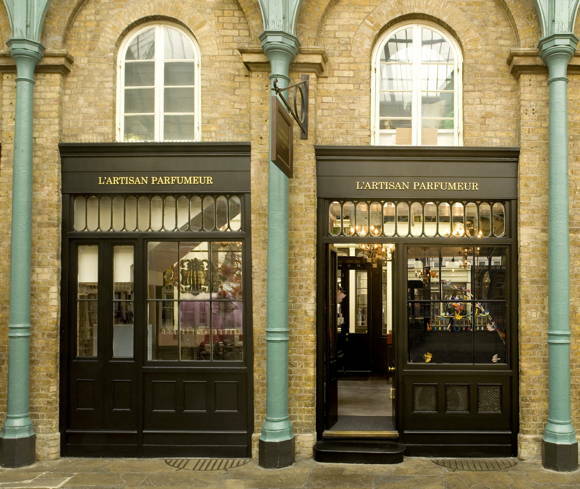 Anonymous, I think the tester bottle had just come in when I visited the Covent Garden boutique on June 26. You must have come in just before that. If you pop back, could you leave a pseudo for the draw? Jordan River, how lovely to think that my book has made it that far! You're in!